How quickly the term goes, as we are only days away from our third term break. Already we have welcomed the Year 7 students of 2019 and at College Assembly next week will present the student leader team for next year! As always, the end of term brings a flurry of community activities. 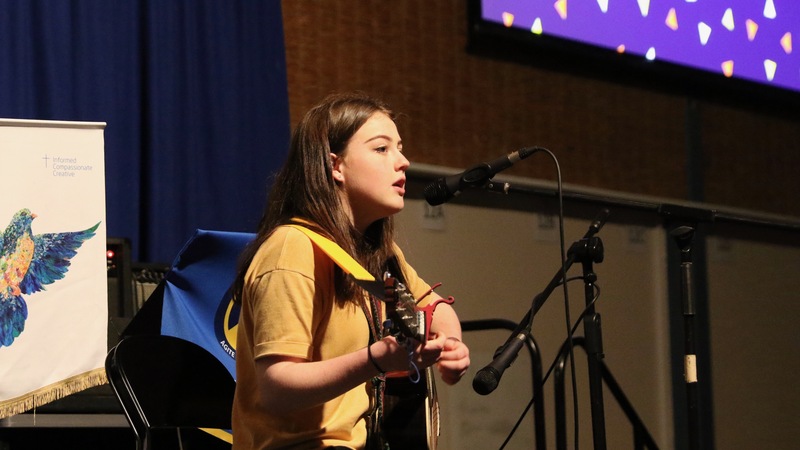 Well done to Year 8 students for successful Medieval and Reflection days, to student leaders of both Mater Christi and St Joseph Colleges for such a variety of talents performing in the Variety Night Concert, to our many sports teams, especially the successful Junior Lacrosse team. The final group of Year 9 students returned proudly from their challenging four-day camp in the Grampians. A small group of energetic athletes have begun an early morning running group. And finally everyone, students and teachers, participated enthusiastically in iChooz activities for the Pastoral Session, delighting in opportunities to ‘have a go’ at different experiences or skills. Once again it is wonderful news for senior Science students. Three Mater Christi teams were in the top 50 amongst 350 school entries for the RACI Titration Competition and two of these are now going on to the Nationals competition. One of our teams finished 28thand the other FIRST. Congratulations to Anri Kim, Zoe Kouris and Adele Palmer. We wish them well along with Sian Janke, Sasha Burby and Aurea Palmer in the Nationals competition ahead. While many of us are frustrated and appalled by the models of leadership presented too frequently across our world, we here at school have the good fortune to witness emerging leaders almost every day - when students deliver reports in class, speak to their peers for leadership selection, tell about events at assemblies and most recently address prospective students about their experiences at Mater Christi College. They tell excitedly of their learning, their belief in doing things well, ‘having a go’ at new experiences and celebrating achievements large and small. It is one of the many joys in my own leadership role. Every assembly provides a celebration of the many but unique learning experiences of these future leaders and I for one have great faith in their capacity to inspire as ‘informed, compassionate, creative’community members.